Nothing against Starbucks because Lord knows that over the years, I’ve spent a mortgage payment on venti iced chai lattes, but when I saw that Shreveport, La., had a black-owned coffee bar in its Red River District, well, I just had to make a stop and visit. 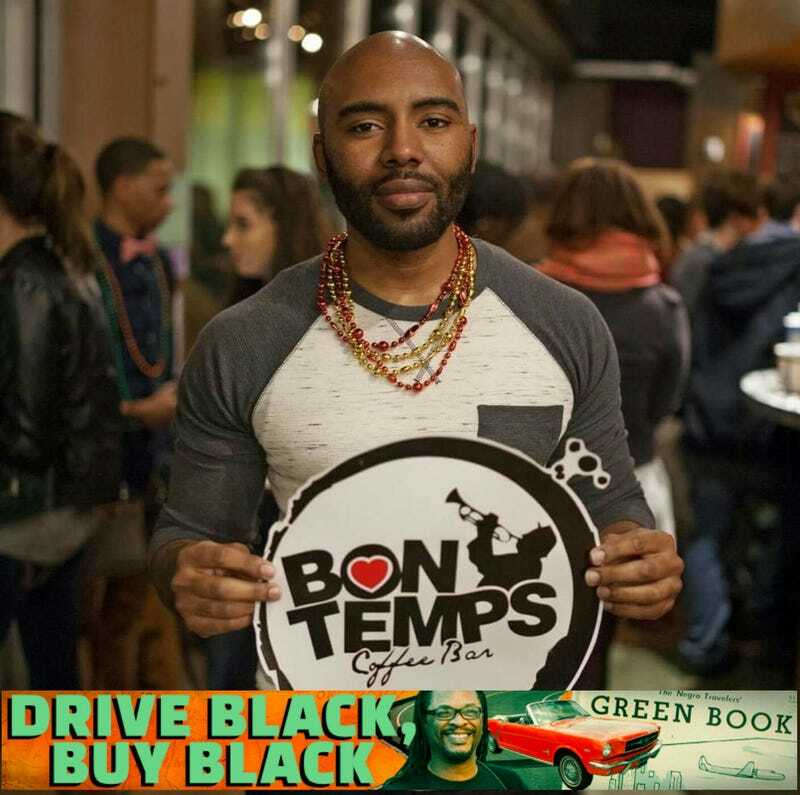 Welcome to Bon Temps Coffee Bar, owned by Marcus Mitchell, a self-proclaimed “die-hard Shreveportian” who, after two tours of duty in Iraq, decided to create a space where people could gather for coffee, spoken word and cool jazz. Pure and simple, this is one of the nicest coffee bars in the country, and that’s no hyperbole. Everything, from the color scheme to the lighting, seems to serve in creating a comfortable space where you can chat with friends or sit in the corner and write that next great American novel, all with a delicious cup of coffee. And if you’re not a coffee drinker, they also have fruit drinks. I got a pineapple-and-peach drink to go, along with a delicious brownie cookie. On my next stop to Shreveport, I’m gonna have a good time at Bon Temps. Dollars spent at Bon Temps? Eight dollars, raising my total spent at black businesses to $316.